Lent | Wait…So That's What Catholics Believe?!?! What in the world did Jesus write on the ground? That is a question people have been asking for centuries. Whatever it was, it must have been pretty powerful! Consider how the scene begins. A woman has been caught in the very act of adultery. According to the law, Moses commanded that such a person be sentenced to death by stoning. Not a single person present, including the accused woman, suggested that she was innocent. Not even Jesus denied her guilt. A mob of people, experts on Mosaic Law, presented an ironclad case against a guilty woman who was minutes away from her imminent death. They then ask Jesus to simply acknowledge that this guilty person should be put to death according to their law. They just want Him to say, “Yup, you got her. Guilty as charged… go get the stones.” But instead, Jesus bends down to write something on the ground, not once, but twice. Now consider how the scene ends after this mysterious inscription is written on the ground. No more mob. No one pointing fingers. No more questions. No stones in sight. Just Jesus and the accused woman all alone. One could argue that this passage from John gives us a tremendous amount of hope. When one understands what really happened here, it is a powerful example of God’s grace and mercy. The same grace and mercy that He extends to all of us even to this very day. To understand this better, one must recall the last time God wrote something down for His people. Anyone want to take a guess? On Mount Sinai God engraved the Ten Commandments on two stone tablets. These were His laws for the people to obey. God’s people were very lost and needed some parental guidance. So God gave Moses strict rules to implement among His people. Contrast that with today’s Gospel from John. Rather than writing on stone tablets, Jesus writes in the dirt. Stone tablets are hard and obviously hard to change once engraved. Writing on the dirt can easily be erased with the swipe of a hand to give a clean slate… a fresh start. So again, recall the scene from the Gospel. A group of people, probably with stones in hand, brought a guilty person to the temple area for a quick “judge, jury and executioner” chat with Jesus. His response… was to write something down in the dirt and say, “Let the one among you who is without sin be the first to throw a stone at her.” Jesus then bends down for a second time to write in the dirt again. Everyone present read what Jesus wrote in the dirt… and slowly walked away… one by one. WHAT DID HE WRITE???? Come on!!! That’s the juiciest piece of information and it’s nowhere to be found anywhere in the bible!!! Did he write down a list of everyone’s sins? Did he perhaps write down the name of other adulterers present who were better at hiding their sin and haven’t been caught yet? Did he write, “Love your neighbor as yourself” or “Do not judge and you will not be judged”… It’s nowhere to be found! And you know what? It doesn’t matter. Are you are ready for the punch-in-the-gut moment of today’s Gospel? Here it is… the woman caught in adultery… is US. Yes, Jesus sees a guilty woman standing before Him. But at the same time He sees all of God’s people of the past, present and future that are not always faithful to Him. And His heart is moved with compassion. These are precisely the people that Jesus came to save. These are the people that He will sacrifice Himself on the cross for on Good Friday… to release us from our sins. Jesus doesn’t look at her, or us, and condemn us for our actions. Instead, He is offering us His grace and much needed mercy. He is reminding us that only He can forgive our sins… only He can wipe away the dirt on the ground. Only He can give us a fresh start. Now… I wouldn’t be doing my job up here if I skipped over the last sentence from this passage. Yes, God’s love and mercy can surpass all things. Yes, God is full of compassion. But pay close attention to what he tells the woman after he pardons her. Jesus says, “Go, and from now on do not sin any more.” Did you catch that? Do not sin any more. Jesus is asking us to do our part. To put in some effort. There is no doubt that God’s grace and mercy gives us new life. However, it should also stir something inside of us that desires change. Positive change. Change toward living a good and holy life. A desire to avoid sin if at all possible. But in those moments when we fail, we need to repent and rely on God’s grace and mercy to start over. To wipe away the dirt. So no matter what we have done in the past, God is cheering for us. He’s not condemning us. He actually sees more potential in us than we see in ourselves. We need to allow His love and mercy to fully engulf us. Allowing His grace to give us the strength to overcome sin and to go and sin no more. Our future is not set in stone. And the sins of our past do not dictate our future. With God’s help, we can be the positive change for a brighter future. A future that eventually ends with us face to face with God in heaven. When was the last time you went away from the business of the world and spent at least 10 minutes in quiet prayer? As Catholics, I know we are good with reciting the memorized prayers such as the Rosary, the Our Father and the Apostles’ Creed. These are good prayers, but what I’m really asking is… when was the last time you’ve had a deep, heartfelt conversation with God. After all, isn’t that what prayer is… a conversation with God? And the key thing to consider here is that this form of prayer involves both a speaking AND, more importantly, a quiet listening. It is a dialogue that was not meant to be one sided. One of the problems we encounter in life is… we tend to go to God mainly when we are in desperate need… almost as a last resort. But we also have those desperate, but more serious situations as well. We, as humans, expect instant results. Things should happen now, not later. So we say our prayer and expect an immediate answer, right?. But guess what… the majority of us typically don’t get a loud voice from above with an instant response. That often leads us to then ask, “Where are you God? See, I tried. I prayed and told you what I needed and I got nothing in return. Why do I even bother?” Then our prayer life gets pushed farther and farther away from our daily routine. If this resonates with you in any way, I’m here to encourage you to change your daily routine. I want to encourage you to pray, not just in those times of need, but EVERY. SINGLE. DAY. regardless of your needs. Regardless of whether or not you “feel” like praying. After all, we are in the Lenten Season. This is a time we are supposed to try and step away from the world… to disconnect from some of our earthly distractions… and prepare ourselves to celebrate the resurrection of Jesus Christ at Easter. As Fr. Al reminded us last week, Lent is a time to focus on fasting, almsgiving and… guess what… PRAYER. So let’s talk about prayer. Today’s Gospel from Luke is commonly referred to as the “Transfiguration.” I want us to look at this passage and see what it could be telling us regarding prayer. The first major thing we should notice is in the opening verse, “Jesus took Peter, John and James and went up the mountain to pray.” Have you ever wondered why Jesus went up a mountain to pray? To get away. To find some peace and quiet. It’s awfully hard to hear God’s voice when you can’t even hear yourself think. If you are a parent with kids at home, you know exactly what I mean. I think kids deliberately get LOUDER the quieter you try and become. It’s like they can sense it! So it’s important to find a place that you can spend some uninterrupted time in prayer. I suggest starting with 10 minutes. It’s not a magical number but it’s a doable number for most people. Unfortunately, when I began trying to make deliberate time to pray, I’d often fall asleep. I began to realize I was always on the go and finally getting a chance to sit down for 10 minutes was all it took to doze off. This leads me to the second suggestion from today’s Gospel regarding prayer. “Peter and his companions had been overcome by sleep, but becoming fully awake, they saw his glory.” Let me say that again. Becoming fully awake, they saw his glory. This has two meanings to me. One, don’t pray when you are super tired because you’ll miss something due to the fact you will end up asleep! But more importantly, if you want to see God’s glory and possibly hear His voice, you need to be “awake” to His presence around you. Praying daily keeps you focused on God… every day. It puts Him in front of your eyes rather than on the back burner. When you pray frequently, you will actually start to see that God is more active in your life than you originally thought. But you have to be fully awake to Him because, from my experience, God can be very, very subtle… so much so that you may miss it if you’re not paying attention or you’ll blow it off as a coincidence when He does answer a prayer. Unfortunately, God doesn’t typically give us a bright, flashing neon sign with an answer. He often speaks to us in the quiet of our hearts. The last point I want to emphasize from today’s Gospel is in the last verse. After Peter, James and John heard the voice of God in a cloud, it says that, “They fell silent.” I can’t emphasize enough the importance of silence when it comes to prayer. Silence allows time to reflect on what we are praying about. It allows that voice in our brains to go to work. It also allows us to reflect on the fact that maybe God isn’t answering a prayer the way we want for a reason. You’ll be surprised at what you can hear when you combine silence with the Holy Spirit. Use this Lenten season to strengthen your prayer life. Take 10 minutes every single day to have a dialogue with God. Remember to find a place to get away, be fully awake and allow for some silence. And in those 10 minutes, ask God for help… tell Him what is in your heart. At the very least, tell Him that you love Him and thank Him for the blessings in your life. I promise that if you do this, you will become a more humble, appreciative and loving human being. So make prayer a daily priority in your life. 10 minutes a day. It’s not much, but it’s so extremely important. God is waiting to hear from you. But it’s up to you… to start the conversation. Death can be a very scary thing to talk about. But first, let me clarify. As Christians, there are two types of death we often refer to. The first is dying to sin and being reborn in Christ. This is what happens in the sacrament of Baptism. It’s exciting to know that there are several among us at St. Andrew’s that will be born again in the waters of Baptism at the Easter Vigil this year. They will be further strengthened in their new Christian life that same night when they also receive the sacrament of Confirmation AND receive our Lord in the Eucharist for the first time ever. This is the fun type of death that we can talk about all day long and get those warm and fuzzy feelings because the people who “die to sin” are still with us afterwards. The second type of death… well…let’s just say… there are not so many warm and fuzzy feelings. I’m obviously referring to the type of death where we lose a loved one, have a funeral and then mourn for days, weeks, even years after their passing. But the question I’m posing today for your consideration is… WHY? Why do we get so excited to see someone die to sin and be born again into God’s family through Baptism… but so sad when a faithful Christian dies to this world and is granted eternal life with God? In a way, I believe this is the question Jesus is asking us through today’s Gospel from John. It’s a long passage so I won’t read it again to you. 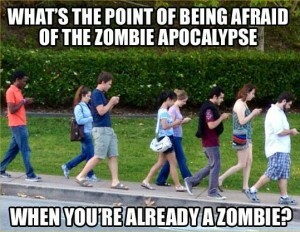 But basically, Lazarus has died and everyone is in mourning. Many of the people blame Jesus for not being around to save him from death. You see… they believe Jesus is the Son of God, but they still don’t yet understand the resurrection since Jesus hasn’t been crucified yet. But Jesus knows. He fully knows what’s to come and has been preaching to His followers that they will have new life in God in this life AND the next. But still, the people blame Him while they mourn the death of Lazarus. One of my favorite parts of this passage is where Jesus shows us His human side. We read two times that Jesus is “perturbed.” Yes, even Jesus got upset and irritated at people! He is perturbed because people’s faith in His teaching on heaven and the afterlife is very weak. 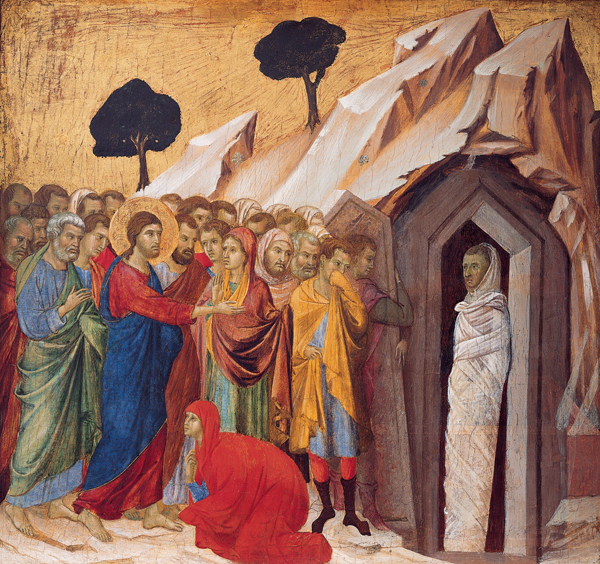 Rather than celebrating Lazarus’ new life with God, they mourned his death and blamed Jesus for not saving him. I can see Jesus’ eyes roll, hand on his forehead, as he gets perturbed and says, “Fine, I’ll give you one more sign but then that’s it! You really need to start believing in what I’m telling you!” Then he turns to the tomb and cries out, “Lazarus, come out!” And he did. Now, I acknowledge that we mourn over someone’s death because we won’t see them anymore. I get that. It stings greatly. Trust me, I know. But I think we struggle with death and mourn so intensely after losing a loved one because, deep down, our faith might be a little weak when it comes to heaven. I can see someone get baptized. I can see someone receive the Lord’s Supper. I can see someone get confirmed. But I can’t “see” what happens to someone’s soul after they die. Death is that one moment where our faith is put to the ultimate test. 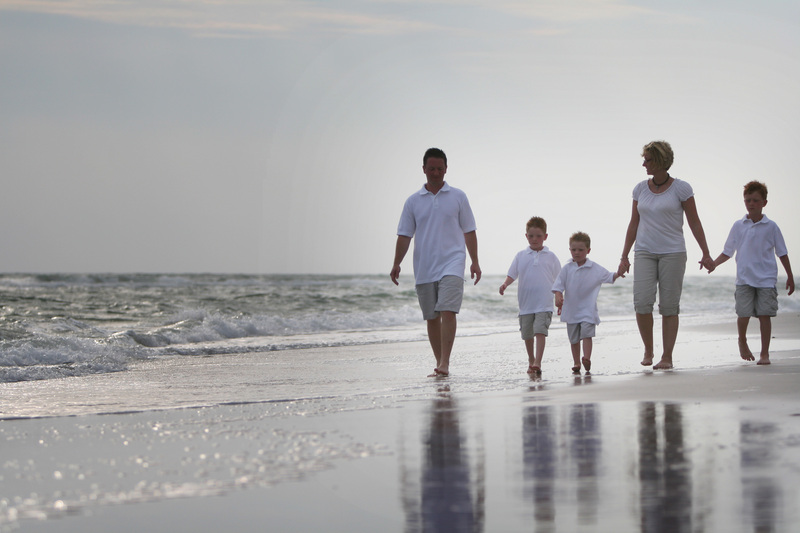 We are told that we will stand before God right after our bodily death. So death is the moment that we as Christians realize if this whole “Jesus, Church, Bible” thing is true or just a nice sounding fairy tale. And I think that scares us. I know I’ve struggled with this concept for a long time. I would like to think I’m a faithful Christian who tries my best to follow Christian teachings. But I still wonder if at the moment of my death, I’ll be confident in my faith or “hold my breath” (so to speak) as I wait to see what REALLY happens after I die. I had a very real, very concrete experience that happened to me recently that has strengthened my faith regarding heaven that I wanted to share. We Catholics pray for the “repose of the soul” of someone after his or her death. It’s a very common practice that dates back to the early Church. It’s based on the teaching that people sometimes need to go to purgatory after death, before entering heaven. Purgatory being a final purification stop on the way to heaven. Think of it as a car wash. When we pray for the repose of the soul of someone, we’re asking God to speed up the process, if possible, so they can enjoy life in heaven sooner. After my mom’s death in October 2017, I’ve been praying for the repose of her soul often. Well… I was at Mass at the Christ the King Cathedral in Lexington this past February. Angie and I were there assisting with the next class of future Deacons. I had just received communion and returned to my pew to kneel in prayer. With eyes closed and hands folded, I prayer, “Lord, I offer up this Eucharist for the repose of the soul of my mother, Joan Wentz.” And then I froze for a few moments. After that feeling passed, I picked up the hymnal and started to sing the communion hymn… but only got 3 or 4 words out and then I froze up again. Still on my knees, I put the hymnal down and closed my eyes again. I couldn’t move… I couldn’t speak. It was at that moment that I felt my mother’s arms around me. It’s as if she was kneeling to my left, giving me a side hug with her head on my shoulder. It was very real and I just kneeled there… enjoying the hug… as I cried silently. A few minutes later, she was gone. I’m not sure if that’s the moment she left purgatory and entered heaven or if God just knew I needed a hug from my mom that day. I’ve reflected back on that incident a lot since it happened. I have even kneeled down at Mass after communion and tried to “re-create” the incident to see if it was just in my mind. But I’ve had no luck. I truly feel that God allowed my mom to visit me that day for a brief moment. Since then, I’ve had a better sense of peace that my mom is with God in heaven. I decided to tell all of you about it today because, honestly, I think we all could use a little encouragement when it comes to death and the afterlife. Many of us have lost loved ones this past year. So yes, don’t be afraid to mourn for those that have passed away. But as we approach Holy Thursday, Good Friday, Holy Saturday and Easter Sunday… really pay attention and allow all of your senses to be flooded with LOVE. Because it is with LOVE that Jesus offered His body to us on Holy Thursday. It is with LOVE that he died for us on Good Friday. It is with LOVE that He overcame death and opened the gates of heaven for all of us on Easter Sunday. And if you can see with open eyes what Jesus did for us on those Holy Days… then you will absolutely realize just how much He loves YOU. And that love WILL continue into the next life because it is NOT just a fairy tale. Any guesses as to how long a human can live without water? Depending on the environment, 3 to 7 days. After that, you’ll die of dehydration. 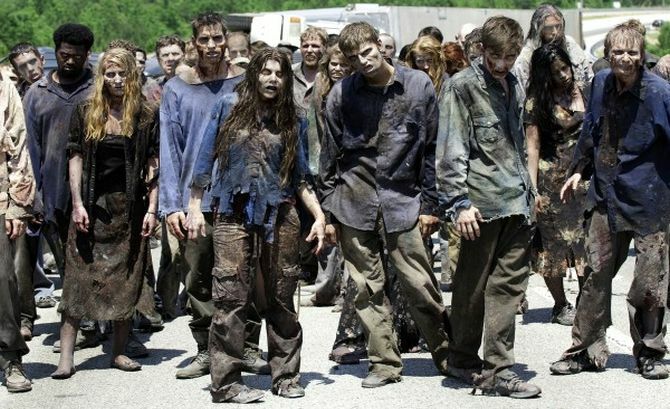 Any guesses as to how long a human can live without food? Again, depending on the environment, roughly 3 weeks (but that’s assuming you are still hydrated). So one could argue that drinking water is even more critical than eating food. Why? Because 60% of the adult human body is water. Every living cell depends on it. Water lubricates our joints, it regulates body temperature through sweating and respiration and it helps to flush waste out of the body. Water is so important that if dehydration levels cause more then a loss of 10% of your body weight, it’s considered a medical emergency and can lead to death if not reversed. Why do I bring this up on the 3rd Sunday of Lent? Well… on the 1st Sunday of Lent, we were lead out into the desert to be tempted. On the 2nd Sunday of Lent, we climbed a mountain to be changed, transfigured actually. And now, on the 3rd Sunday of Lent, Jesus is telling us that after all that hiking in the desert and mountain climbing, we’re thirsty and in need of a drink of water. But not just any water mind you! You see… regular water will quench your thirst, but only temporarily. As I said just a moment ago, at the bear minimum, you need to drink water at least every 3 days. But I know if I don’t drink a glass of water every few hours, my throat becomes dry and I even start to feel tired. Therefore we are always looking… always searching for the next glass of water to drink. Now thankfully, most of us are fortunate enough to live in an area where finding clean drinking water is not a problem. Not so for the Hebrews in the reading we hear today from Exodus. Moses is leading a very thirsty group of people out of Egypt. The Hebrews complained and complained about being thirsty, so much, that eventually God provided water through Moses. God quenched their thirst. Water is also not so abundant in the town of Sychar in Samaria that we hear about in today’s Gospel from John. The people of this town all get their water from a common well. As you can imagine, one would probably have to go to the well several times each day. They can’t simply turn on a faucet in their kitchen. Therefore, this well is vital to the survival of the people in the town. If something were to happen to it, the people would have to move away or die of dehydration. Here Jesus is acknowledging what we have already discussed… we get thirsty, we drink, our thirst is quenched for a time, repeat. But Jesus then makes the bold statement that there is a new, living water that will forever quench our thirst permanently. No more going back to the well. No more searching for our next drink. On hearing this, the Samaritan woman replies, “Sir, give me this water, so that I may not be thirsty or have to keep coming here to draw water.” This is a fair and honest statement that I think most of us would ask if we were in her shoes at that moment. Who wouldn’t want to be fully satisfied? To not have to search anymore? Sounds like a good deal to me! In Scripture, John 6 is often referred to as the “bread of life discourse.” So I guess John 4, today’s Gospel, can be referred to as the “water of life discourse.” Jesus is the living water that will quench all of our desires. We need to fully immerse ourselves in this water. If we fully and completely let Jesus Christ, the Living Water, into our lives, into every cell in our bodies, He’ll quench your thirst for all of eternity in Heaven. And by the way, what’s the opposite of Heaven? Hell. Eternal fire. No water in sight. Eternal thirsting. NOT a pretty picture! So you have a choice. You can drink from the Living Water and be satisfied… or risk eternal thirst by only drinking from “regular”, “worldly” water. As we continue our journey through Lent, keep your eyes focused on Jesus Christ. He is the only one who can fully satisfy you. 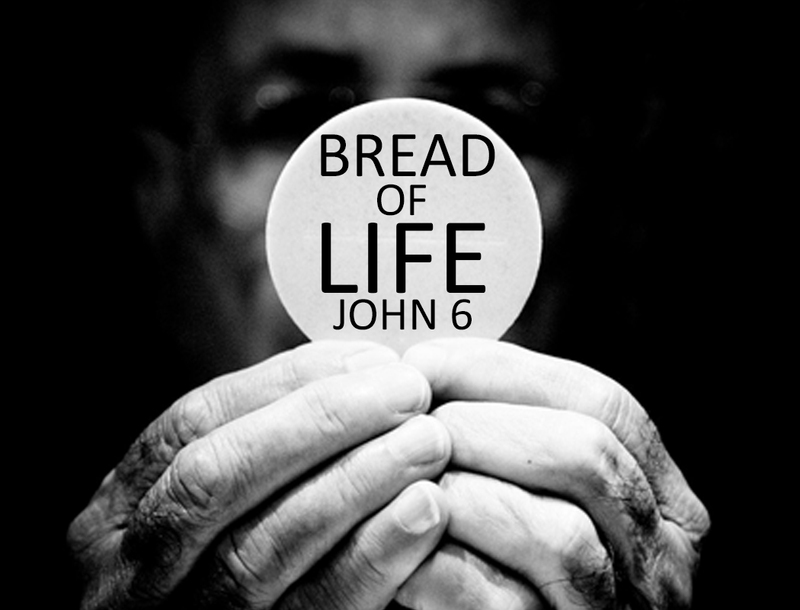 He is our Bread of Life, He is our Living Water, He is our eternal salvation. So drink deeply from the Living Water and never thirst again! “Great moments are born from great opportunity.” This was the opening line of what is considered one of the greatest speeches in sports history. 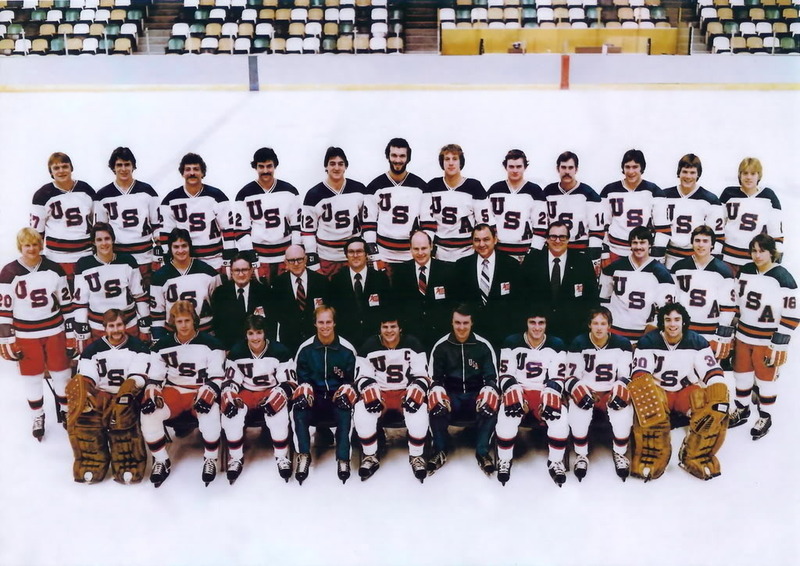 Herb Brooks, the coach of the 1980 United States Olympic hockey team, gave a speech in the locker room right before USA faced the Soviet Union in the medal round at Lake Placid. Let me set the scene for you as to why this speech is relevant for us today and how this underdog story gives us hope. At that time in history, the Soviet Union was considered to have the best hockey team in the world. They won the Olympic gold medal in 1964, 68, 72 and 76. This happened at the height of the Cold War where the Soviets were spreading communion and invading satellite countries bordering the Soviet Union. Our country had a deep dislike for the Soviets and everything they stood for at that time. This meant that all hockey fans in this country HATED the Soviet hockey team with a passion. First, because they represented communism and second, because nobody could beat them. And now, the Soviets were playing hockey on American soil… Lake Placid, New York. On the other hand, the US hockey team was a young group of players from various college teams whom never played together as a unit before training for that Olympics. 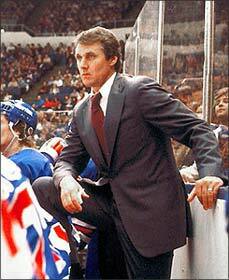 They were the new guys, with a new coach heading into the lion’s den of Olympic hockey dominated by the Soviets. Somehow, this scrappy, young American hockey team fought their way to the medal round. All the while, the Soviets crushed every team they faced. This David and Goliath match up wasn’t even for the gold medal. It was a game to determine who would go on to play for gold.. So in the locker room just before the historic game, with a country united behind a bunch of college athletes, Herb Brooks gave this speech, “Great moments are born from great opportunity, and that’s what you have here tonight, boys. That’s what you’ve earned here tonight. One game; if we played them ten times, they might win nine. But not this game, not tonight. Tonight, we skate with them. Tonight we stay with them, and we shut them down because we can. Tonight, we are the greatest hockey team in the world. You were born to be hockey players – every one of you, and you were meant to be here tonight. This is your time. Their time is done. It’s over. I’m sick and tired of hearing about what a great hockey team the Soviets have. Forget them! (I cleaned it up here!) This is your time. 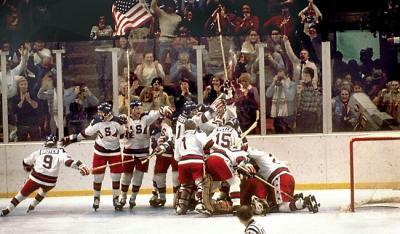 Now go out there and take it!” Team USA won that game and won the gold medal that year. In that speech, Brooks gave his team the power for a victory, which inspired a nation. So here we are, the First Sunday of Lent. Lent is our 40 day journey dedicated to prayer, fasting and almsgiving in preparation for Easter. It’s a time we put an extra effort to make sacrifices and turn away from sin. It’s a time we should be focusing on helping others and spending less time pampering ourselves. If we take this journey seriously, it should be challenging. Today’s Gospel shows us just how challenging it can be. This Gospel reading from Luke is our underdog story. Jesus Christ is our coach. The devil is our competition. This passage from Luke is our motivational speech for Lent, leading up to the victory of Easter Sunday. Jesus Christ is both fully God and fully man. He felt emotions that we feel. He journeyed through the desert and was tempted by the devil just like we are tempted.